From full faces to smaller designs on the face, cheeks, arms or legs, our professional Las Vegas face painters have both fun and fantastical design choices for kids and adults. Everyone loves to be magically transformed, whether at a birthday party or a large special event. Adults and kids will smile with delight when our Las Vegas ace painters create a butterfly, a fire breathing dragon or a fantasy design. Each guest becomes a living canvas for everyone to enjoy. 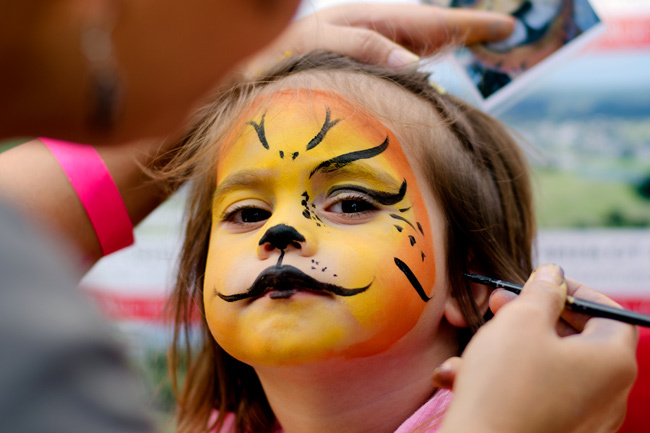 Our Las Vegas face painters will bring picture choices which can be themed to your event. 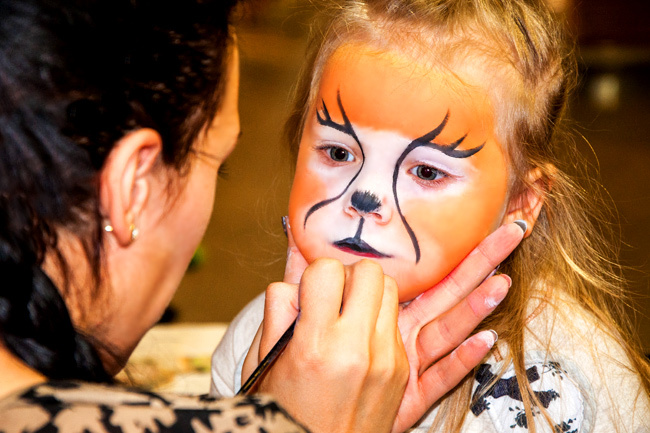 We’ve even been known to create a face painting design, right on the spot, by copying it from your guests’ smart phone! 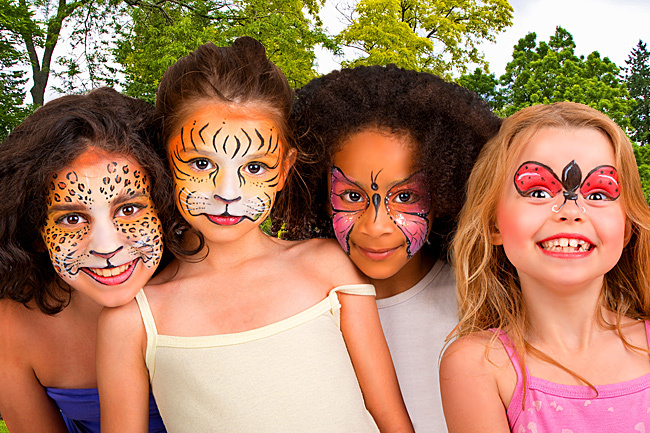 Our Las Vegas Face Painting artists also use quality, hypoallergenic paints made specifically to go on skin and to be removed with soap and water. For longer lasting “tattoos,” we also provide airbrush artists, who can design a special logo template for your private function at an additional cost. Our Las Vegas face painting creations are perfect for Convention Casuals, Sports Events, Promotional and Marketing Functions, Kids Parties, Holiday Parties and Themed Parties. We paint designs geared towards your adult guests for convention parties and at sports themed events we can paint your team’s colors and logo. Contact Us To Schedule A Las Vegas Face Painter Today! Click Here – For interesting facts about Face Painting.